A succesful renegotiation is still seen as most likely but break-up risk will increase once beyond March 2018, raising the threat level for the Canadian Dollar. The Canadian Dollar could fall by a double digit number if the North American Free Trade Agreement negotiations take a turn for the worst in the New Year, according to strategists at TD Securities. Long-term economic damage stemming from a breakup of NAFTA would be relatively limited for Canada argue analysts at the Canadian bank, although uncertainty over monetary policy and future trade arrangements would hit the currency in the short term. 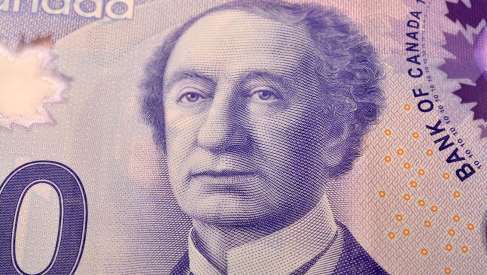 Indeed, it is the impact on the Bank of Canada's policy settings that will be the transmission mechanism into changes in Canadian Dollar value. “We expect Trump to remain motivated by his campaign promises and continue his protectionist rhetoric and threat tactics,” says Brittany Baumann, a macro strategist at TD Securities. In the event of a termination, much of the Loonie’s losses would likely be spread over a period of months, while the degree to which the Canadian Dollar ultimately falls would be determined by whether or not a withdrawal from the pact actually happens, after its announcement. A rising goods and services trade deficit with Mexico and a gradual shift of some blue collar American jobs across the southern border saw President Donald Trump elected in part, on a pledge to renegotiate or withdraw from the North American Free Trade Agreement. Just more than a year into the current administration’s term, negotiating rounds and talks are advanced in their numbers but agreement between the US, Canada and Mexico on any of the issues remains notably absent. “Round four of negotiations ended with a number of US proposals facing rejection from Canada and Mexico. But looking closer at the areas of contention, we find there is potential for an agreement,” says Baumann. Washington’s team want concessions from Canada and Mexico in five areas which, among other things, would see carmakers forced to make more of their products in the US and remove or weaken dispute resolution mechanisms embedded in NAFTA. The US proposals would also see new rules inserted into NAFTA that would reduce the amount of US government contracts tendered out to Canadian and Mexican firms, presumably to make the distribution of public sector contracts more equitable. “We cannot entirely rule out the event of termination, bearing in mind Trump's motivation to treat trade deals like Humpty Dumpty - a break-it-then-fix-it strategy - along with his desire for bilateral deals over multilateralism,” Baumann writes. In addition, the renegotiated agreement would be subject to review every five years, which critics say will create uncertainty for business and leave NAFTA exposed to the whims of electoral cycles. TD Securities says there is scope for compromise on some of the issues, such as dispute resolution and government procurement, although the rules of origin (carmakers) and the sunset clause (5 year review) are seen as hard and difficult to move issues. “The combination of stringent US proposals, a lengthening timeline of talks, and President Trump’s persistent threats of termination and campaign motives have raised the risk that Trump triggers Article 2205, setting off a six-month notice of termination,” Baumann warns. That said, the base-case forecast of the TD Securities team is that the NAFTA deal is successfully renegotiated some time in the first quarter of 2018. However, if it isn’t successfully renegotiated by the end of the first quarter, the threat of a termination will have increased. With mid-term elections approaching in November 2018, the Trump administration could feel compelled to play rough in NAFTA talks once into the New Year, in order to shore up support ahead of the 2018 vote. 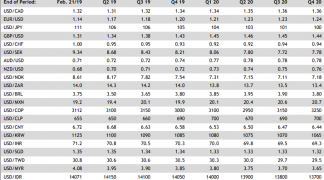 “Worth monitoring is how negotiations proceed, i.e., if agreement looks increasingly unlikely and talks extend past 18Q1, the higher the risk of Article 2205,” says Baumann. Washington might even push for a termination of the agreement via the invocation of Article 2205 if progress is still seen as lacking in the New Year, either for electoral purposes, or simply to heap more pressure onto the Mexican and Canadian negotiators. “It is unlikely until tax reform is completed, as disrupting trade negotiations could disrupt the chances of tax reform being passed. We link the risk of pulling out of NAFTA to negotiations extending past Q1 and to the success of tax reform,” Baumann adds. Given the administration's relative lack of major policy success and, subject to how the push for tax reform pans out over the coming months, the political incentive to play rough or give notice of a termination could increase as 2018 marches on. 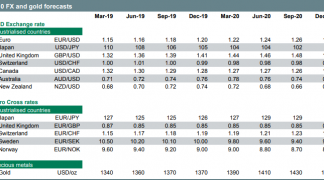 TD Securities forecasts a modest hit to economies across the NAFTA area under a scenario where a withdrawal notice is seen largely as a negotiating tactic, but the fallout would be limited to a weaker run of soft data, or sentiment surveys. That said, the muted impact would come largely at the expense of market expectations for further rate hikes from the BoC, the full cost of which would be borne by the Canadian Dollar. 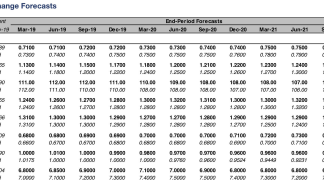 This could force the USD/CAD rate higher to within a 1.40 - 1.45 range, according to TD Securities forecasts. TD Securities' call is for a much steeper fall than that forecast by other strategists, previously reported by Pound Sterling Live. Above: USD/CAD at daily intervals. TD's forecast would take the rate off the chart. A withdrawal notice being followed by a termination of the NAFTA agreement six months down the line, after the countdown period triggered by the invocation of Article 2205, would be the most bearish outcome for the Canadian economy and the Canadian Dollar. Under this scenario, the damage done to the Loonie would be at its most severe although, still, the broader impact on the Canadian economy might be relatively modest. “Termination resulting in tariffs would be a shock to confidence and firms’ margins, but trade flows would continue—recession risk would be remote,” Baumann adds. 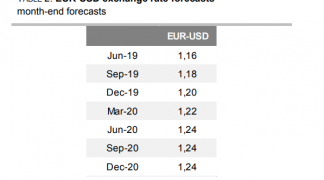 TD Securities’ forecast the USD/CAD rate could rise as high as 1.50, from its recent level of 1.27, in the event that NAFTA is actually terminated. A severe double-digit fall. US Canada trade cannot be assumed to return to the previous CUSFTA trade agreement as the implementation of the NAFTA Implementation Act suspended that agreement and the wording of Section 107 of the act is highly ambiguous. Some have suggested lifting the suspension might require a congressional vote, or some other kind of action from both sides of the border, which exposes trade flows to further political risk and raises the threat of a tariff “cliff edge” for both countries. Above: USD/CAD at monthly intervals, showing termination-target and time of last quote above this level.